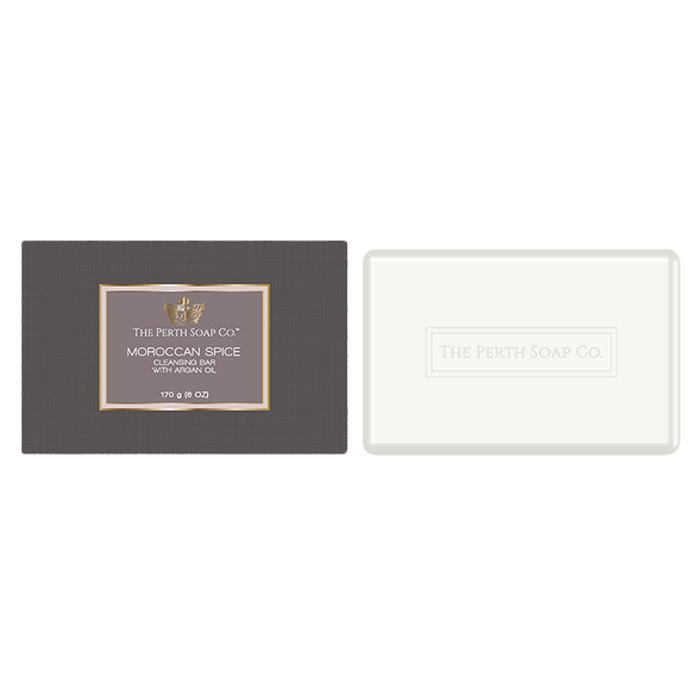 The Perth Soap Co. | Cleansing Bar Gift Set - The Perth Soap Co. Milk & Honey: Milk & Honey Cleansing Bar: Buttery honey and creamy milk notes are accented with sweet anise, orange, cinnamon and smooth sandalwood. Moroccan Spice: Moroccan amber, spice, vanilla musk, grapefruit, fresh green and bergamot are accented with hints of cassis, jasmine and cedar wood. Rosemary Mint: Rosemary Mint Cleansing Bar: Cool, refreshing peppermint and light, herbaceous rosemary notes are accented with soft sage and earthy thyme. Beautifully packaged in a box embossed with our gold crest, ready to gift. 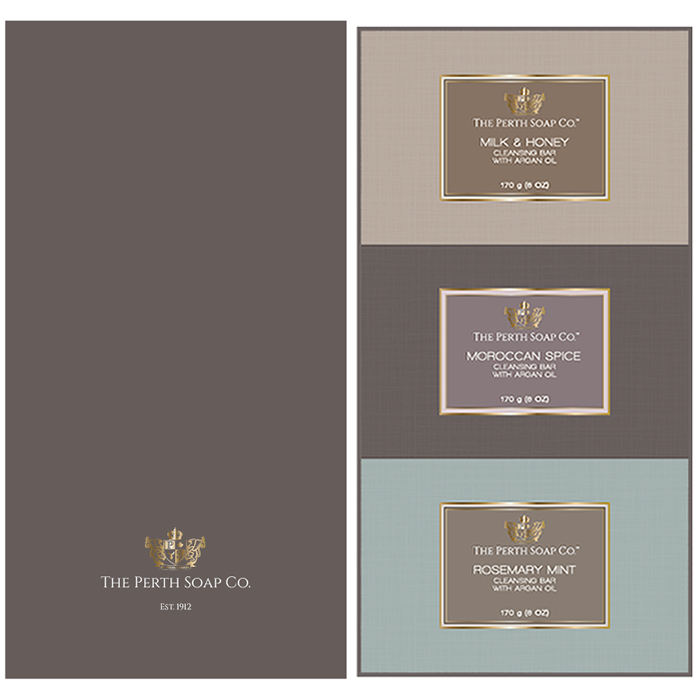 This gift set includes our three everyday cleansing bars in a beautiful box, embossed with The Perth Soap Co. crest. 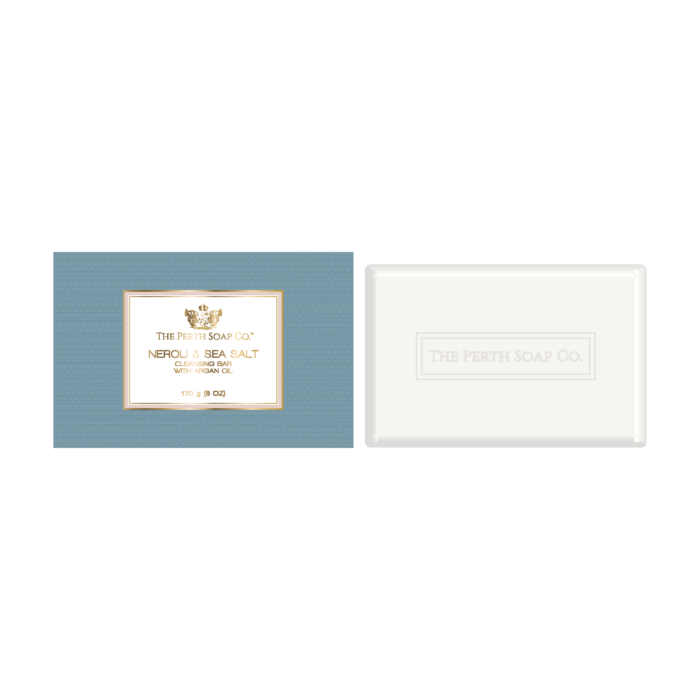 Gentle and enriched with Argan Oil, The Perth Soap Co. cleansing bars are pH balanced, contain more than 30% moisturizing ingredients and are infused with speciality fragrances that embody luxury.